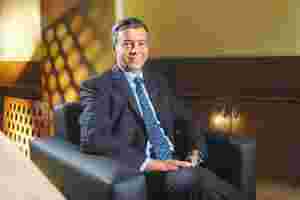 Mumbai: Shailendra Bhandari, managing director and chief executive of ING Vysya Bank Ltd, doesn’t want to be a price warrior. He will not raise the savings bank accounts rate till some of the bigger banks do that. “The banks that raised rates believe they will get more money or just want to be defensive. I don’t think we will be defensive," Bhandari said. You have had a very interesting history of 81 years—the first Indian bank in which a foreign bank picked up a controlling stake. But to some extent, your bank looks schizophrenic. It had moved fast, then slowed, and is again moving now. Doesn’t seem to be very sure of what it wants. You’re right in some respects. Vysya Bank was set up in 1930. And while in terms of assets we are small, we also have many branches. As regards our performance, I wouldn’t use a word like schizophrenia... The fact is that we have a long history. This is an old-generation private sector bank that was set up for the Vysya community—primarily traders who are concentrated in Andhra Pradesh and Karnataka, which explains why we are perhaps the largest private sector bank in terms of number of branches in Andhra Pradesh—180. Similarly, in Karnataka we have another 120-130 branches. We did not do much work with metro consumers or large corporates. Rather we worked with SMEs (small and medium enterprises). In 2002, ING acquired control. The culture changed accordingly. And your business was affected, too. The business actually did not move. It didn’t go down, but you are right—from 2002 to 2009, it was a golden period of banking and the whole market was growing at about 21-22%. There were a few who were growing by 31-32%, but ING Vysya was growing at half of that. As a result, we lost market share and this was because they were a lot of issues which came out in merger, the amalgamation, the consolidation. All this, despite ING holding 47%. You must understand that ING itself was relatively new to India in 2002. So, the core banking platform which was installed around that time—Profile—was an excellent platform, but the problem is that this is a platform which is used by ING overseas in the ING Direct business. ING Direct is the world’s largest Internet bank, but India is a bricks-and-mortar country, so it caused a lot of consolidation issues. We even had issues like getting the brand name right. Vysya is a community name; it’s not an inspirational name. Besides, 90% of our branches were in the South and only 22% of India’s deposits are in the South. Secondly, our target segment in retail business is the affluent class, but with half my branches at that time in the rural and semi-urban areas, we weren’t in the right places. The core banking platform Profile is working. And while we are still expanding in the South, our exposure has fallen from 90% to 65%. And more than two-thirds of our branches are in the urban and metro areas. We are seeing the results. Over the last eight-nine quarters, we have registered good sequential growth. What’s your take on savings bank deregulation. Yes Bank Ltd, Kotak Mahindra Bank Ltd and IndusInd Bank Ltd have raised rates. Will ING Vysya join the fray? Obviously, some of the first to announce are the ones who have (current and actually got nothing to lose and a lot to prove. If you have a Casa savings account) ratio which is somewhere around 10%, even if it gets reprised, it doesn’t really matter a lot. Your Casa is roughly one-third of the total liability. Yes. We are not as good as the very best in this class, which are in the 40s, but our Casa is around 33%. Of this, SA (savings account) is around 16%, about ₹ 5,000-6,000 crore, which, by the way, is the highest among all South-based banks. You are taking pride in being the best in South; you are not looking at yourself as an Indian bank. Is this a mindset issue? Not necessarily. We want to be the best in our class. We are now the best in the South, but we know that’s not good enough in the long run. What’s the plan to grow? Banks that have raised rates are working on the fundamental premise that people will save in savings accounts. The reality is that savings account is a transactional account. Where do you put your savings money? It’s where you have your salaries coming, credit card is linked, demat account is linked. If I want to save money, I could be very lazy and leave it in the savings account, but more likely I will put it FMPs (fixed-maturity plans) or liquid funds. If I am a small investor, I will put it in fixed deposits as I can get 9.5% for one year. So, banks are raising rates with a fundamental premise that people will save in savings account. For savings accounts, you need to actually go out and get customers. There’s no point in rushing in. So you may not tweak the savings account rates. I don’t think we are saying that. We would like to see some of the bigger players to move and then we will make our decision. The most illogical thing to do is to raise the rates. The banks that raised rates believe they will get more money or just want to be defensive. I don’t think we will be defensive. When it comes to loan growth, you have been very aggressive, growing at a higher rate than the industry average. We did give the aspirational statement that we will move faster than the market, but we also said it will be accompanied by better quality. Which is why though we got 28% growth last year, when the market did 23%, we didn’t say that we are going to do 28% this year also. We are conscious that you can’t drive fast on a slow road. Also keep in mind that we don’t lend to several sectors including airlines, real estate and power. We also don’t do project finance. How big is your exposure to microfinance institutions (MFIs)? It is very similar to the others. I think we were part of the CDR process which happened in June and it was already (corporate debt restructuring) part of our balance sheet. It is not significant. We stopped giving loans to MFIs almost a year ago because as soon as the new regulation came in, we felt that the model was fundamentally bad. Now, obviously, the Malegam committee has come out with recommendations, but I don’t think, as yet, this is a segment where we would lend afresh. What about your non-performing assets (NPAs)? Our net NPA is 0.3%. Our provision cover is 85%. And our gross NPA is around 2%—most of which is legacy. Our restructured assets are just over 1%. So you don’t see any strain anywhere? Of course there will be a strain. In a rising interest rates and a slowing economy, you see strain. But we have a model which allows for a risk-adjusted return, and you have a cycle and within the cycle there will be times when it will be tougher and times when it will be better. About 40% of our loan book is what we call wholesale, and within wholesale there are large corporates—blue-chip ones. I am talking about groups like the Tatas, Birlas, Reliance and other multinationals of the world, including Vodafone and TCS (Tata Consultancy Services Ltd). Now these companies normally would not need a mid-sized bank. But we are not just ING Vysya; we are also ING. So we have global relationships; we have been involved with them overseas. Some of the small banks which you mentioned, there is no commonality between their borrowers and ours because we lend to a segment that they don’t even dream of. What about mortgages and auto loans? When I say mortgages, I include both home loans and loans against property—it is roughly 18-19% of our total advances. We love the business. On auto loans, we did a project, we tried it at a few places, but the truth is that we are late entrants. We figured that for us to do auto loans at this stage doesn’t make sense, it would cost us more than what we would earn. The personal loan portfolio which we started in 2006, we stopped at 2009; it was a very bad experience. But that’s water under the bridge now. So we have launched it on a slightly different basis, primarily to our salaried account customers. Interestingly, the unsecured loans are behaving surprisingly There is an opportunity well and I am not talking about the entire industry. there. Post-savings bank deregulation, do you see any strain on your net interest margin (NIM)? In the last quarter, it was 3.35%, which is decent. Eventually, savings bank deregulation could lead to margin compression, unless you couple it with the simultaneous increase in your lending rates. Now the one thing with which I am happy is that I think the two or three banks who have raised their savings account rate have also done an increase in their base rates. The point I am making is that even if it comes down, it will still be higher than it was and this may be the bottom of the margins. Because once interest rates go down, as you know, margins will come down. One thing that I have got to say about savings account is that I am supportive of deregulation of any sort. I am glad it’s being deregulated, but keep in mind that for many years we used to ask for deregulation, because we wanted to bring the rate down from 3.5%. Don’t forget that when interest rates come down, savings rate will also come down, and it’s not as if it will only get high as far as the savers are concerned. And that’s why I am very reluctant to get very supportive of what you call price warriors, because if you are offering to the public 6% on a savings account, what happens when the overnight rates are 4%? When are you going to hike your loan rates? We did after the September policy rate hike. By the way, I very diligently listen to the governor’s speech every time and he keeps saying that he wants to see transmission of monetary policy, so we believe it is our duty to transmit monetary policy. So we diligently do transmit. Because we believe this is the right thing to do. We are waiting to take a decision on the savings account, and when we do take a decision on savings account, we could well revise our base rate as well. You frequently raise money from the capital market to support your growth, but this dilutes your return on equity (RoE) as well as earnings per share. Yes, we have raised capital in June this year, ₹ 960 crore. Prior to that, we had raised money in August of 2009. So, there is a gap of two years. We have said that we have no intention of raising money for at least another two years as we do not need the capital. You talked about earnings per share, so if I look at the most recent profits we did and if I extrapolate that, it comes to over ₹ 30. This is an all-time high. By the way, we are one of the cheapest banks in India. Now you have got to remember that this is a bank which was making loses four, five years ago. What we felt that there is no point in saying that we are going to do it overnight; it’s going to happen gradually and we want to do it in a way which is consistent and predictable. Now RoE obviously will come down a bit when you raise equity, but again, it’s not so bad. It came down to 12.5 despite having a lot of equity. When do we see ING Vysya becoming an all-India bank? We are proud to have roots in the South. But things are changing. Last year, we opened 60 branches and of those 50 were in North and West and a little bit in the East as well. If I look at our wholesale business, we do business with the largest names internationally and nationally. They don’t do business in the South; their business is happening all over India. If I look at my advances book, it is where the economy is. If I look at our largest branch network, it’s Andhra with 180, but if I look at my largest branch network in a metro it is Bombay (Mumbai) with 36 branches. So yes, we are not there yet, but it’s the same story I am saying that it is happening. We may not necessarily get up on a pedestal and shout that we are a all-India bank, but we are. We are a new-generation private sector bank with a strong international flavour, with strong international roots. This is an edited transcript of an interview that was first telecast on Bloomberg UTV on Thursday.